Old Town Trolley Tours is known across America for its unique brand of “transportainment” – a wonderful union of transportation and entertainment. 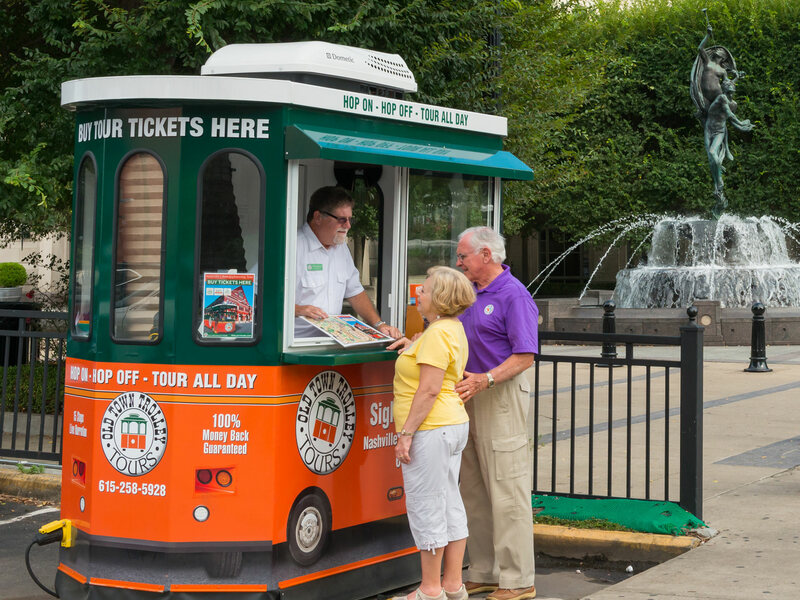 Offering comprehensive sightseeing tours in seven of the nation’s most historic cities, their orange and green trolleys provide visitors the opportunity to hop on and off, allowing them the flexibility to spend as much time as they wish at each of their multiple stops. As an established leader in the travel/tourism industry that’s been entertaining guests for more than 30 years, Old Town Trolley operates in Boston, Key West, San Diego, St. Augustine, Savannah, Nashville, and Washington DC. Despite its exceptional reputation, when a brand has been around for over three decades, it’s due for a bit of an update. The goal was to rebrand this already successful company without endangering their identity or causing confusion for their loyal guests, so they turned to our Miami advertising agency for help. We started with a subtle update to their classic logo. We removed the hard to read curved typography and simplified the logo by taking off the large black circles that framed it. We then placed the company name next to the recognizable trolley graphic – giving it a nice clean look. We also built a brand new, fully-responsive website from the ground up. 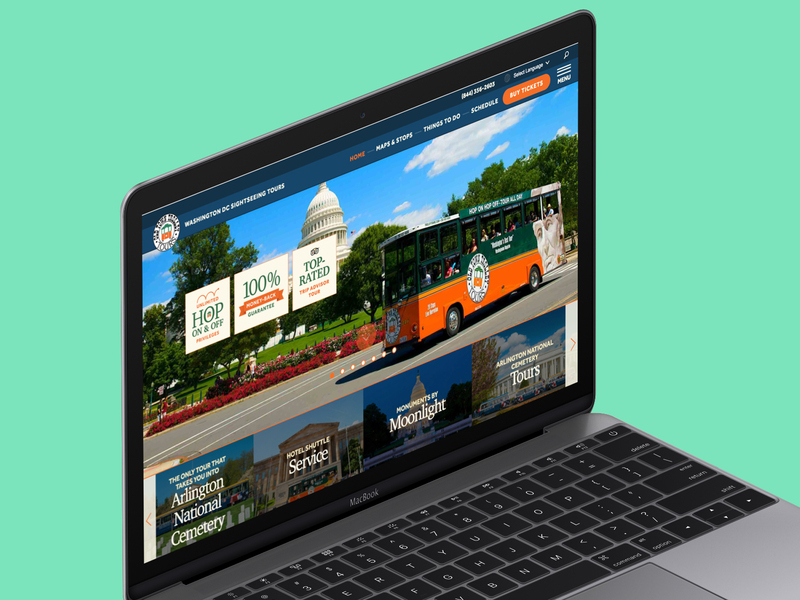 Our goal was to bring the contemporary feel of the new logo and to create a website that would be the go-to platform for anyone planning a vacation in any of Old Town Trolley’s cities. With seven cities and more than 1,340 pages, this was no quick and easy feat! Perhaps one of the most exciting was the implementation of easy-to-use interactive maps that showcase each tour stop. Through the use of Google Maps’ technology, guests are now able to easily view information about the different trolley routes, including the ability to explore unique attractions, nearby points of interest, parking locations and more. Guests can also book tickets online while learning about all other trolley products and exploring specials in each city. The well-known orange and green trolleys, although highly recognizable, were looking a bit cluttered because of the many design elements that were added over the years. 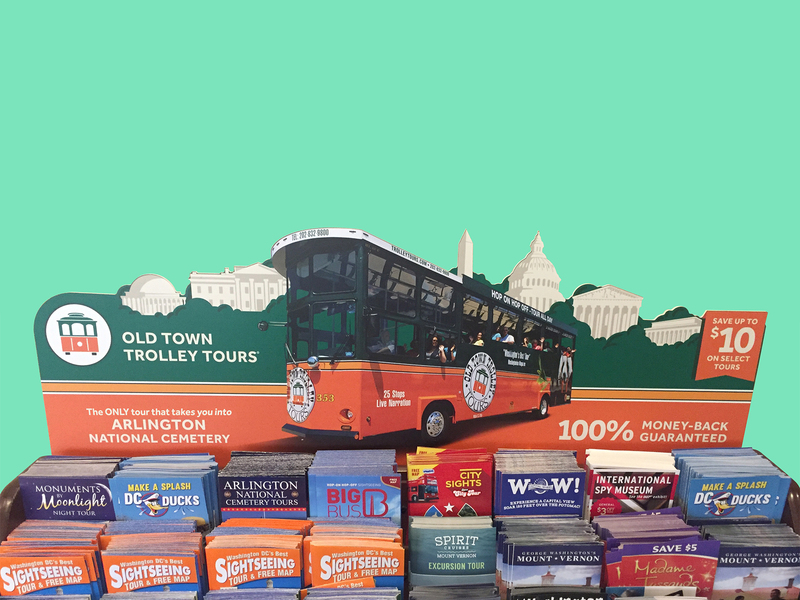 To solve this issue, we customized each city’s trolleys with vivid images related to their most popular sites and attractions — including a larger-than-life close-up of Abraham Lincoln’s face from the Lincoln Memorial for their Washington DC Trolley Tours. 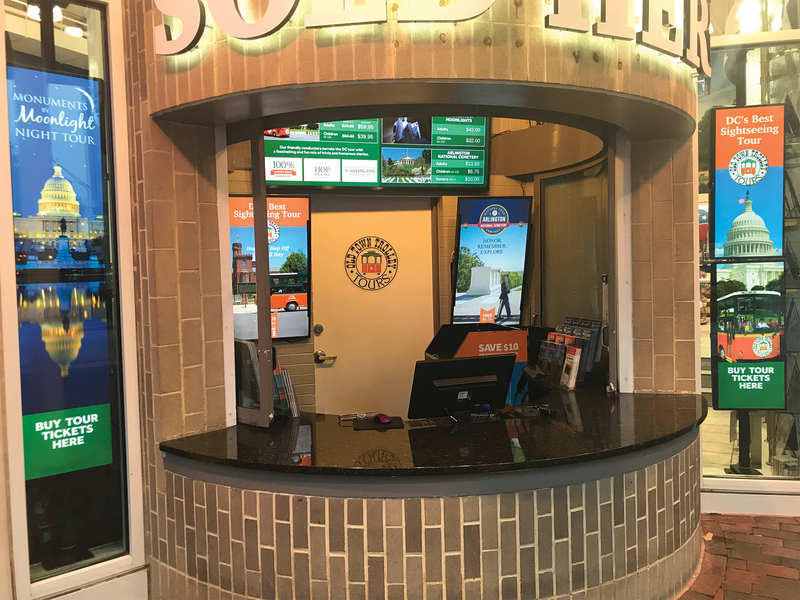 To draw attention and give new life to the Old Town Trolley ticket booths, we redesigned them to look like actual trolleys. These eye-catching booths increased foot traffic and inquiries right away — and serve as a visual and tangible connection to the brand, as well as the trolleys that people see traveling throughout the city. In Boston, Old Town Trolley Tours needed to capture the attention of the millions of visitors who traveled there each year. With so many tourists and so many tour operators, the trolley needed to stand out — and get visitors to choose them over other sightseeing experiences. We decided to take advantage of some of the resources that already existed—and created trolley graphics for several recycling receptacles that were in some of the busiest spots in the city. Each receptacle was transformed into what looks like an actual trolley, with smiling passengers and bright orange and green graphics, while still serving as a place for people to place their recyclables. 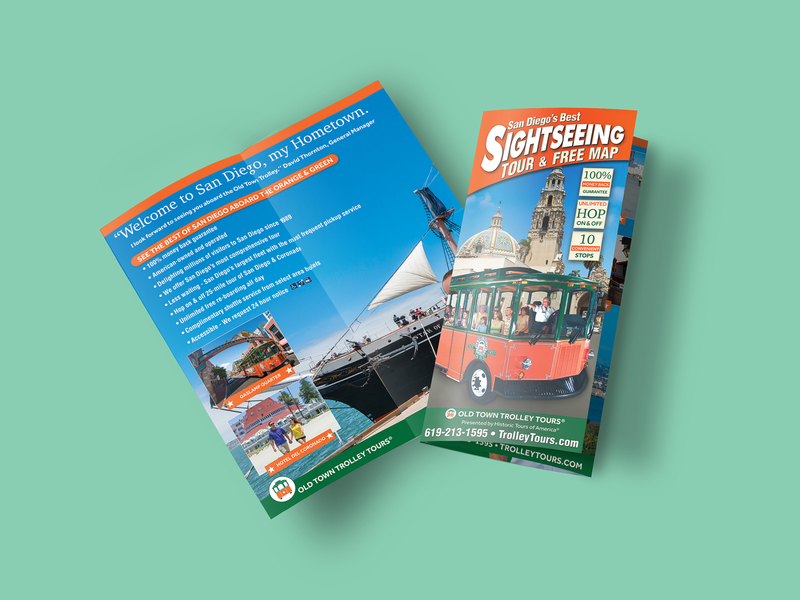 Bringing it all together, we gave Old Town Trolley’s printed collateral a brand new look. 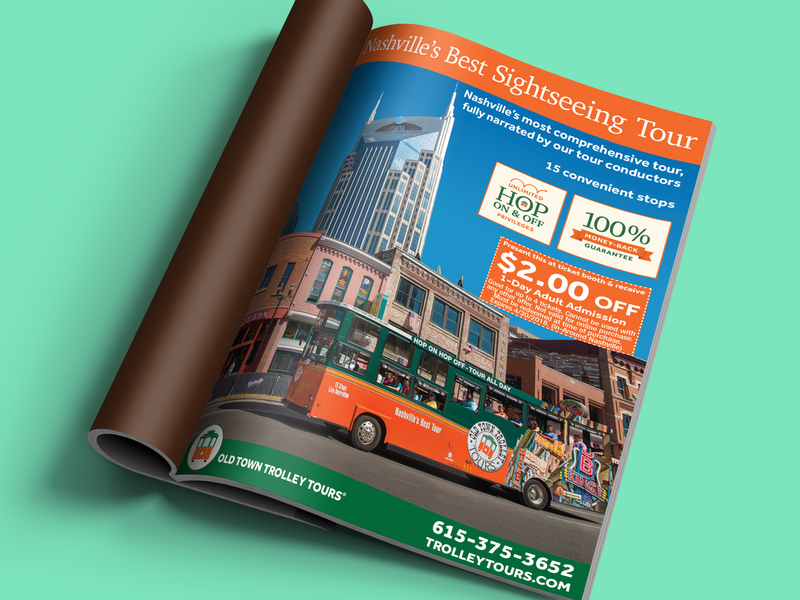 Including rack cards that are strategically placed in highly traveled spots like turnpike rest stops, these vibrant and engaging printed materials serve to entice visitors to find out more about the tours in areas they’re looking to visit. Awesome Sightseeing, Colorful Stories and the Rest is… History! The Old Town Trolley Tours total brand refresh and new advertising campaign brought many new faces aboard the trolleys. The new look and feel was a welcome change for the trolley team, including the conductors in each city who were delighted to have the opportunity to share their cities with even more guests.